Rob began his career in commercial real estate over twenty years ago as a broker with Hunneman Commercial Company focusing on North Suburban office, R&D and industrial property and tenant representation. Since then he has assisted tenants, property owners, investors and developers alike with the highest level of effectiveness, efficiency, dedication and integrity. 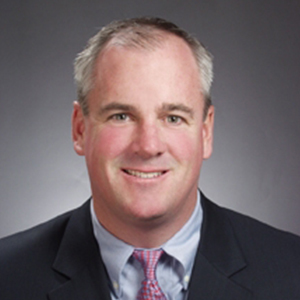 During his twenty year career, Mr. Cronin has worked on more than five hundred (500) unique real estate transactions. In addition to his time as a commercial real estate broker, Rob took an educational sabbatical in 2003 to earn a Masters in Real Estate Development (MSRED) from Columbia University with the intention of broadening his skill base to better assist his clients with their real estate needs. Rob graduated from the University of Vermont (UVM) with a degree in business administration and holds a Masters in Real Estate from Columbia University. He is a former Chair of the UVM Boston Alumni Board and The Rivers School Alumni Association. He has been a Pan-Mass Challenge (PMC.org) rider for six years, achieving Heavy Hitter (top 10%) fundraising level for 7 of 8 years. A native of Wellesley, MA, Mr. Cronin currently resides in Charlestown, MA with his family, where he coaches Charlestown youth soccer and lacrosse.